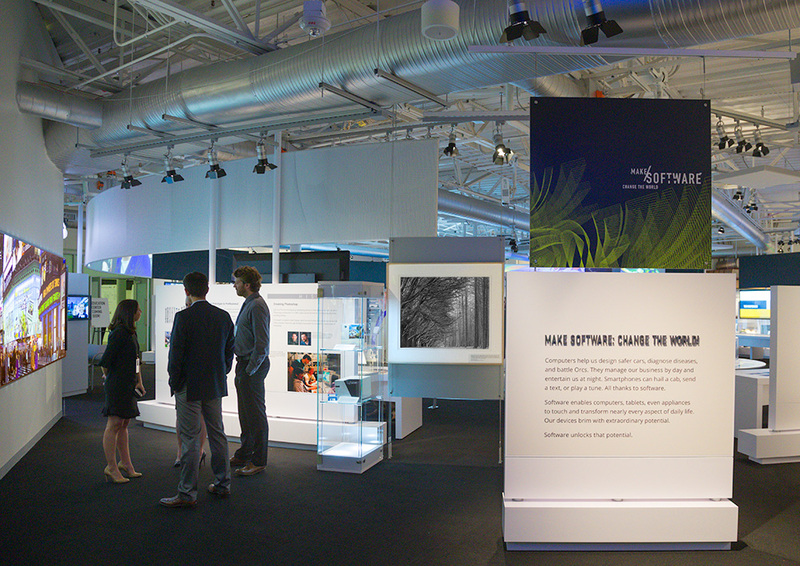 On January 21, 2017, the Computer History Museum in Mountain View, California, opened the exhibit Make Software: Change the World! which features Photoshop and video interviews with Thomas and John Knoll, Steve and others. 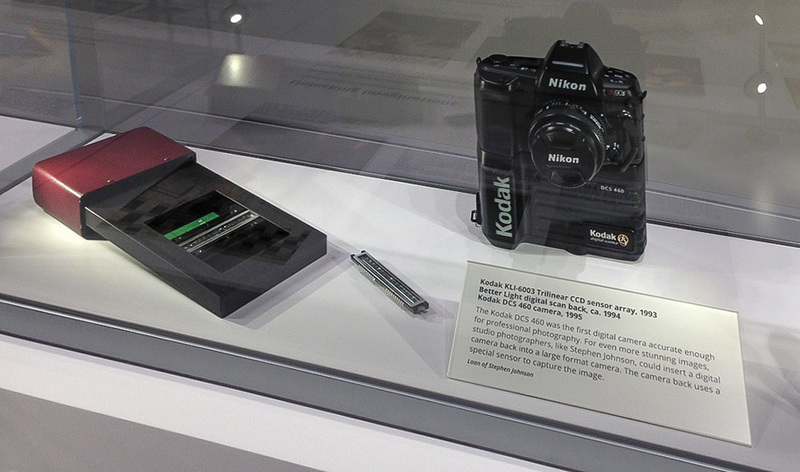 One of Steve's first digital view camera prints is featured along with several of his early digital cameras. Artwork also on display includes a huge TimesSquare Mural by Steve's good friend painter Bert Monroy. 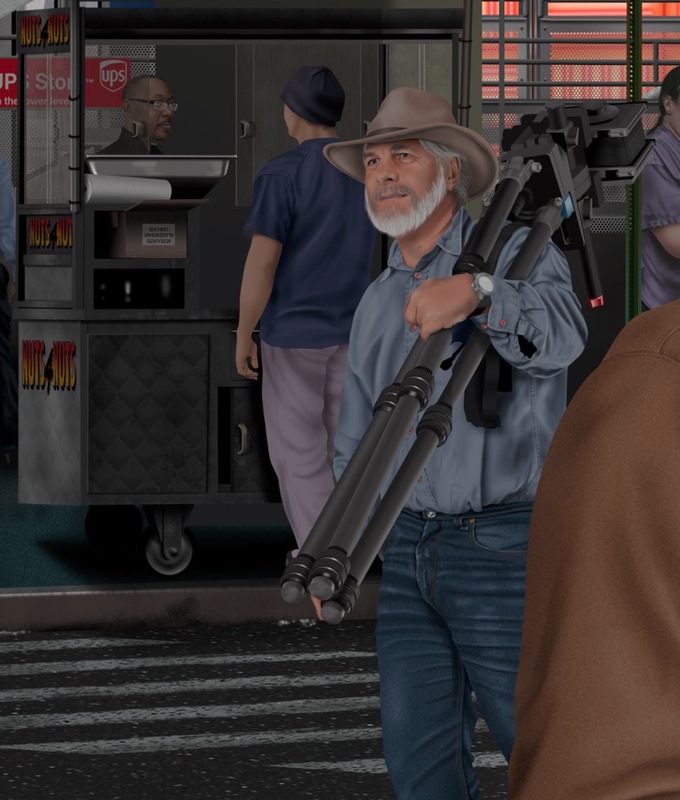 Bert's mural depicts many of his friends from the digital imaging world including Steve walking through Times Square with his view camera. The exhibit will be on display for five years, therefore if you're in the Mountain View area go visit the Computer History Museum. Steve with the Photoshop Interpretive Video. Make Software Exhibit. 2017. In 2013, the Computer History Museum interviewed Steve at his Pacifica studio for the Make Software Exhibition opening in January 2017. The interview covers a wide range of subjects including Steve's early adoption of pre-Adobe Photoshop and his attitude about photography and representations of the real world in this digital age. Here is an excerpt of that interview. Steve's “Trees, Fitzgerald Reserve, 1994” in the Make Software Exihbit. From a gift by Alexander Polsky. Print Featured in exhibit next to a Barneyscan 35 which was the first piece of equipment that brought an early version of Photoshop into Steve's hands in 1988 as Barneyscan XP. This image is an infrared exposure, with only the red channel of the RGB photographic file used. It was raining at the time we made the photograph which forced us to protect the camera and computer with the view camera dark-cloth. This image was the first photograph I made with the 4x5 digital scanning back that I felt was a strong image. For more about the photograph: Trees, Fitzgerald Reserve. A BetterLight Scanning Insert for 4x5 cameras, its Kodak sensor, and a Kodak DCS460. 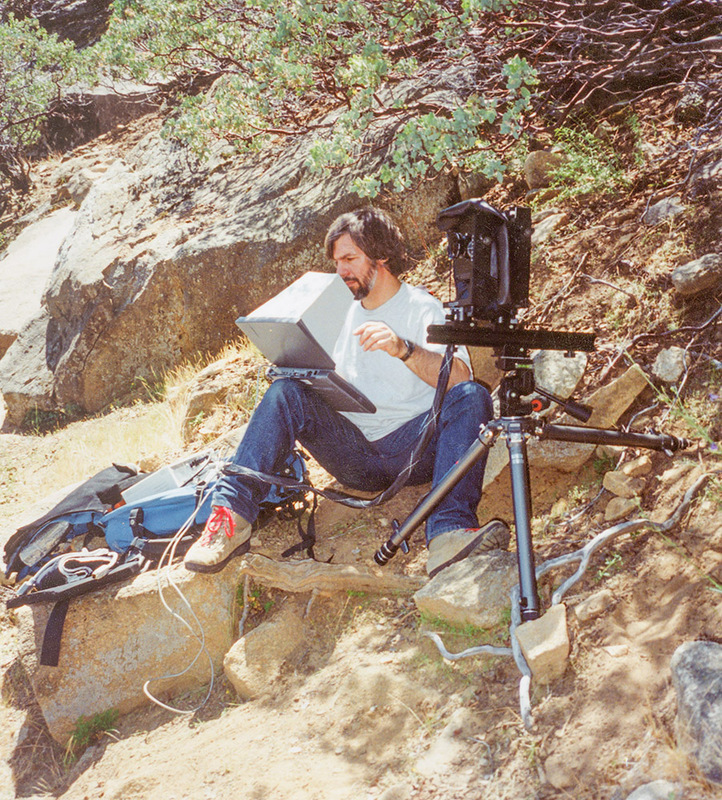 Steve used these devices from 1994 and onward through the 1990s in his digital landscape photography. This digital insert by BetterLight was developed during 1992-93 in Redwood City by engineer Michael Collette. This insert is a sophisticated, very high resolution sensor used with 4x5 View Cameras making a one-pass scan of the scene before the lens. The BetterLight functioned by scanning its 18,000 pixel linear array sensor (6000 pixels each in RGB) across the 4x5 inch image area over a 4 minute period and allowed photographer Stephen Johnson to build up extraordinarily high resolution photographs (6000x8000 pixels) while using a laptop to see and completely control the making of the photograph. The large photograph behind you was made in March 1994 and became the genesis of Johnson’s 5 year digital national parks project “With a New Eye” sponsored by Adobe, Apple, NEC, Ricoh and Sinar Bron. Display made possibly by a loan from Michael Collette. Steve at the Make Software Exhibit. 2017. The sensor is the Kodak KLI-6003 6000 element RGB try-linear array which was used in the first BetterLight and Dicomed versions of the scanning back. Scanning across the back of the 4x5 image area it made an 18,000 pixel tall RGB image and sampled 7520 times during a normal full resolution scan over 3:45 seconds making a 6000x7520 full res RGB photograph, or approximately 135 megapixels. 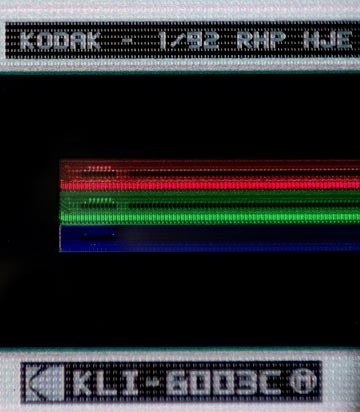 Left section micrograph of Kodak KLI-6003C linear array sensor showing red, green and blue filtered CCD stripes. The Kodak DCS 460 is a 2000x3000 pixel digital camera built onto a professional Nikon camera body that was one of the earliest digital cameras good enough for professional photography and photojournalism. It was Stephen Johnson’s documentary camera on his parks project, also filling in as the primary camera when the scanning insert was not possible to use such as in airplanes or bad weather. Digital Photography in the Real World. Landscape Photography.